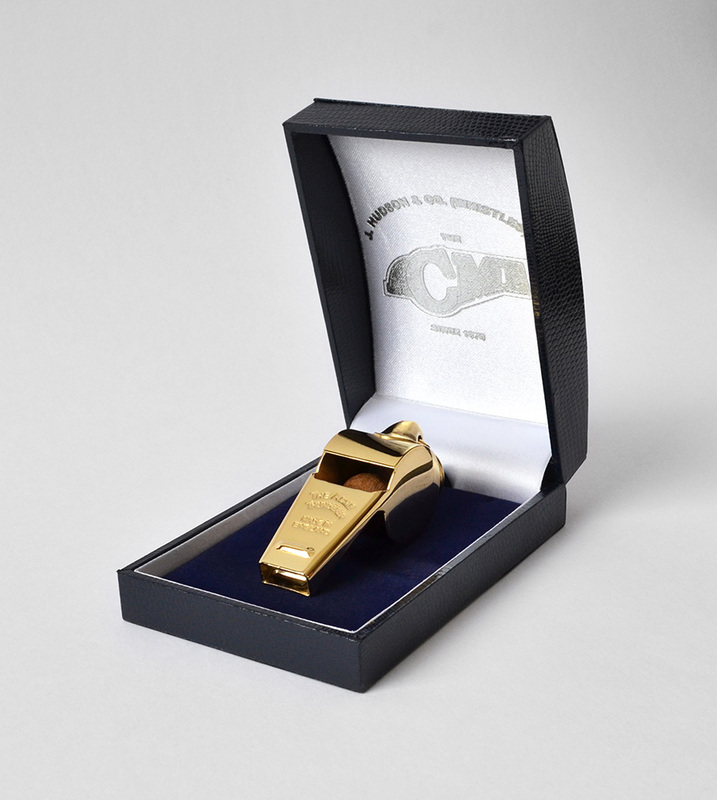 Acme Thunderer (Referee's) Whistle (58.5). Gold plated in a handsome dark blue presentation box. This whistle is a large sized whistle with a low pitch.